Friday evening marks Opening Day 2.0 for the MLB season as the league returns from the mid season All Star Break. With teams gearing up for both the second half and the impending trade deadline the second half of the season should offer as many memorable moments and instant classics that we saw in the first half this season. With that being said, let’s take a look back at some of the highlights of the first half and a look at some of the potential storylines to come in the second half. 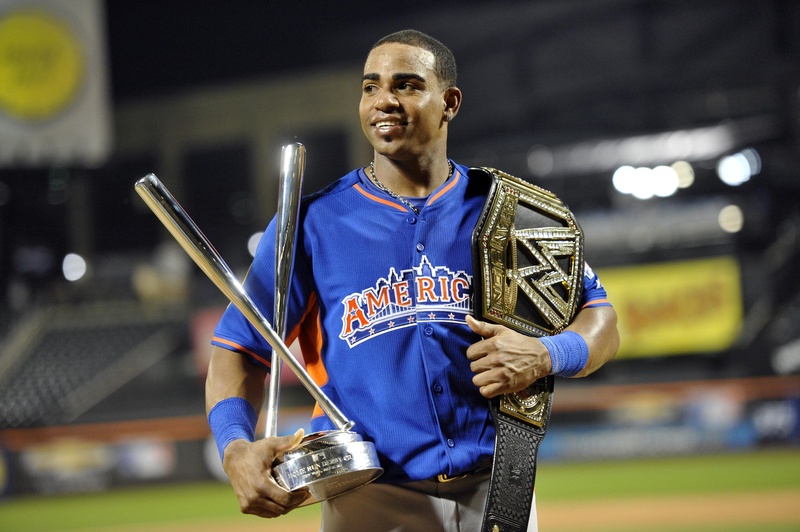 Yoenis Cespedes became the first player since Ken Griffey Jr. to win back to back Home Run Derby titles when he trumped Cincinnati’s Todd Frazier in the final round on Monday night. One of the biggest surprises of the night was Marlin’s slugger Giancarlo Stanton going without a HR in round 2 which allowed Frazier to advance to the finals with the insurmountable total of 1. Cespedes had the task of beating OAK teammate Josh Donaldson in a Swing Off before dispatching AL team captain Jose Bautista. 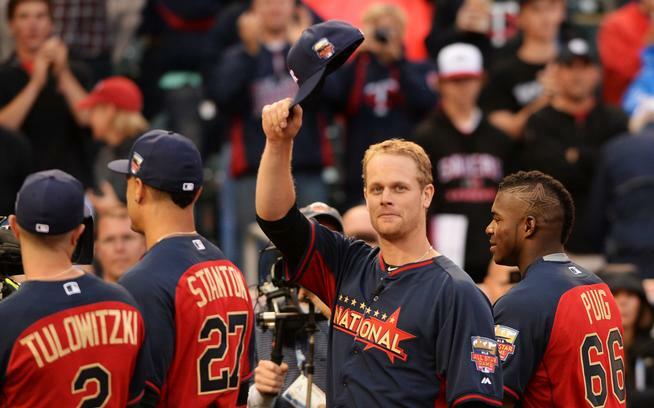 One of the better feelgood moments was the Minnesota fans ovation to longtime Twins 1B and 2006 AL MVP Justin Morneau. 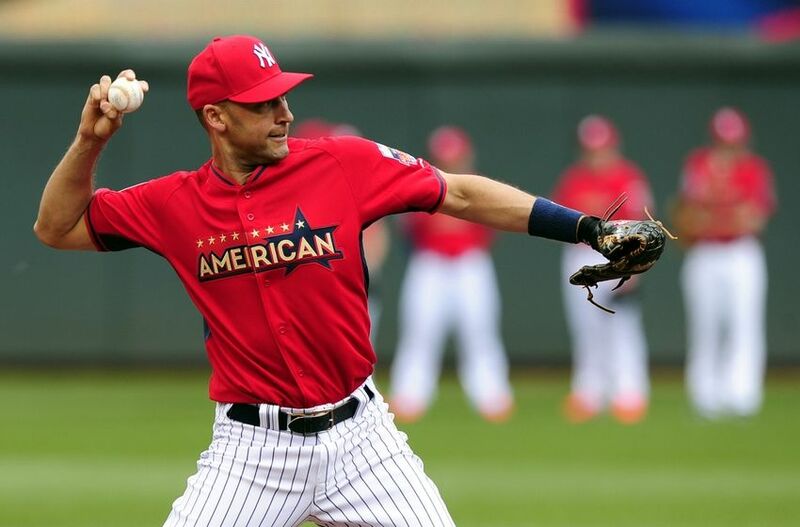 Morneau, who was not voted in as an All Star but was a captains pick by NL captain Troy Tulowitzki, was ousted in a swing off with Todd Frazier. 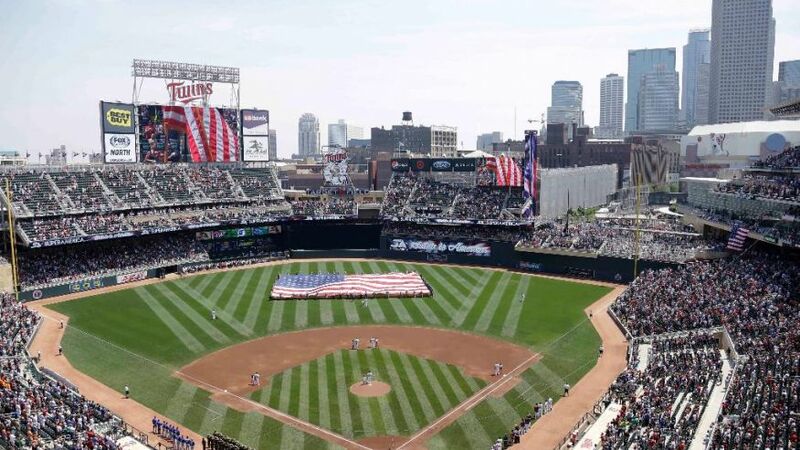 A bit surprising was the fact that the Twins faithful barely recognized current Twin Brian Dozier when he was announced as if they were saving their voices for Morneau. The All Star game also marked the most recent stop on the Derek Jeter farewell tour. Now where most teams have rewarded Jeter with some kind of present commemorating the culture of said city, this time Jeter was given a gift from Cardinals pitcher and AL starter Adam Wainwright. After a very gracious moment of respect in which Wainwright laid his glove down and joined the crowd in it’s ovation for the Yankee captain, he followed it up with a moment of controversy when he appeared to groove a fastball down the pipe for a double. Jeter would later be driven in Mike Trout’s triple. Wainwright did himself no favours after his post game comments pointed directly at him serving up a beach ball. Wainwright later played his comments off as people not “getting” his sense of humour – insert eye roll. Before the days of the All Star game “meaning something,” this type of gesture would have gone by unnoticed. In fact, some may have even praised Waino for his gesture. But now with the game deciding home field advantage in the World Series, Waino is seen as a bit of a clown, perhaps shades of Favre taking a dive for Michael Strahan. Personally I like the gesture. I mean it’s Derek Jeter. He is universally loved by all fan bases DESPITE being a Yankee. Would you not have done the same thing if it was Ken Griffey Jr? The history of the Oakland A’s is one of the more storied pasts of any MLB team. It features some of the greatest players to have ever stepped on a diamond and hands down some of the most colourful characters that the game has ever known. First they were Connie Mack’s Philadelphia Athletics, a team that featured the Million Dollar infield with the likes of HoF’ers Frank “Home Run” Baker and Eddie Collins. The roaring 20’s and dirty 30’s would see Jimmy Foxx challenge Babe Ruth as the premier HR threat of the day and Lefty Grove left batters dumbfounded at the plate. The A’s left Philly for KC in 1955 but wouldn’t remain there long as they packed up and headed for the Bay Area of California, settling in Oakland. 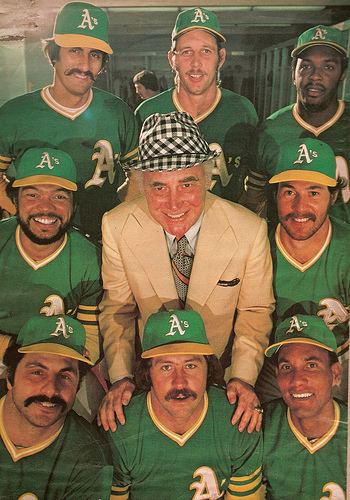 It was in Oakland, under eccentric owner Charlie Finley that the Athletics started laying pieces for their first California dynasty. With some of the best players of the era (Reggie Jackson, Joe Rudi, Bert Campneris, Catfish Hunter, Vida Blue and Rollie Fingers) on their roster, the A’s rolled to three World Series titles from 1972-74. The A’s were dismantled in the late 70’s thanks to the birth of the Free Agent era and fell out of contention for the next decade. That would change in the late 80’s as the A’s rebuilt farm system gave them three straight Rookie of the Year winners from 1986 to 1988 (Jose Canseco, Mark McGwire and Walt Weiss respectively) and saw them lay the foundation for one of the most powerful dynasties in recent history. 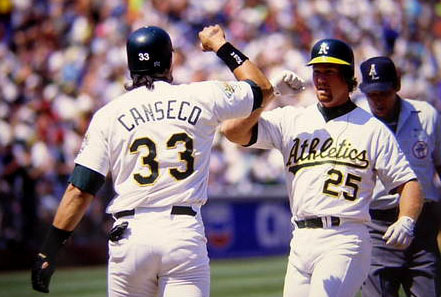 Led by manager Tony LaRussa, the A’s formidable offence was powered by the chemically enhanced Bash Brothers (Canseco and McGwire) and driven by all time stolen base king, Ricky Henderson. On the mound, the A’s had not one but two of the most intimidating pitchers of their time in Dave Stewart and Dennis Eckersley. The A’s would win three straight AL Pennants starting in 1988 but would only go onto win one WS title in 1989. After again falling into obscurity, the A’s rebounded in the late 90’s and early 2000’s thanks to a new baseball tactician who introduced the game to a new way of thinking. 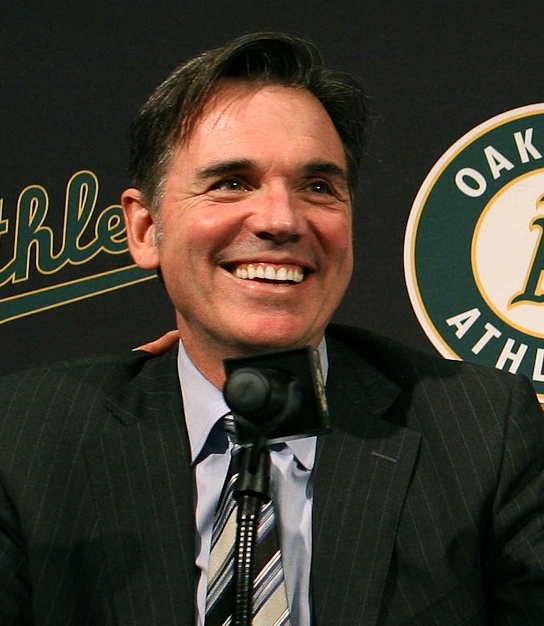 The world would soon become very familiar with the name Billy Beane and his “Moneyball” approach to building a team. Thanks to a best selling book and movie based on it pretty much everybody and their grandmother can tell you that Beane used sabremetrics in order to find value in players that no other team cared about. Not only did Beane have rousing success with his Moneyball approach but his $40 million dollar team was taking down teams with payrolls that were double and triple their value. What was amazing about the A’s success, besides them continually being a presence in the postseason, was how they could turnover their entire roster on a yearly basis and still compete for the playoffs. Even after the A’s fell out of contention in the late 2000’s, they were able to rebound and take down the big spending Angels and Rangers for the AL West crown these last few seasons. 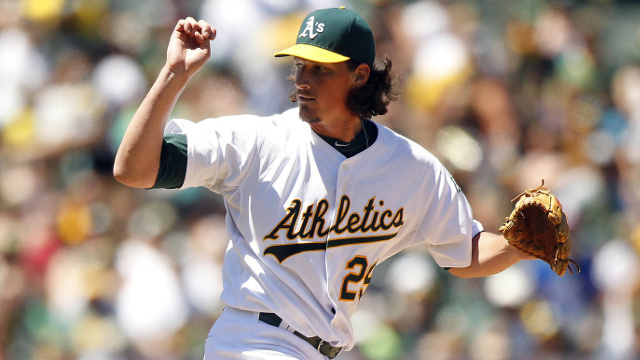 This season even with the A’s leading both the MLB and the AL West with pretty much a homegrown roster, Beane decided to beef up his rotation by acquiring not one but TWO of the big names that were available on the trade block in Jeff Samardzjia and Jason Hammel. The A’s paid a hefty price in giving up two top prospects and a major league ready pitcher but they get two proven starters who will help them now and may even lead them to their first title since 1989. Despite not having a whole lot of household names, the A’s lineup is stacked top to bottom. A point that was solidified when they sent six players to this years all stars game, not including Jeff Samardzjia who was their as a Cub. 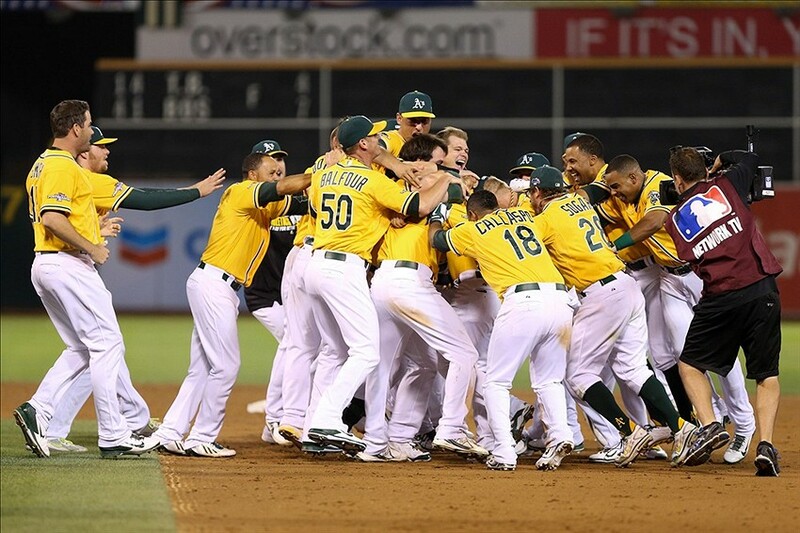 The A’s should easily cruise to a post season berth this yea. Whether that is as the AL West winner or the Wild Card won’t be completely up to the A’s, in fact another team from the West Coast may have a play in how the A’s final standings end up. The Angels finished the 2013 season in 3rd place in the AL West with a record of 78-84. This was another huge disappointment, especially after landing another high prized FA in Josh Hamilton. Despite another incredible year from phenom Mike Trout, the Angels wound up missing the playoffs for a fourth straight season. This was a big departure from the days of when the Angels were the team to beat in the AL East. It seemed that all the big moves and player acquisitions that the Angels made never ended up panning out the way that management envisioned. That is until this season. This season the Angels are playing the way that everyone in the baseball world had imagined they would when they went out and added former MVP’s Albert Pujols and Josh Hamilton to play along sides Mike Trout. The Angels currently sit 1.5 GB of the Angels heading into the second half. You have to assume that the Angels have taken notice of the A’s stockpiling pitchers and are perhaps looking to make a move of their own. It should make for some good baseball in the coming months, especially with the A’s and Angels still having 10 games to play against one another. In the NL West the Dodgers and Giants have been having their own heavyweight tilt throughout the course of the first half, with the Dodgers currently sitting 1 game up on the Giants. For the Dodgers, Clayton Kershaw is proving more and more each start that the comparisons between him and Sandy Koufax aren’t that outlandish after all. 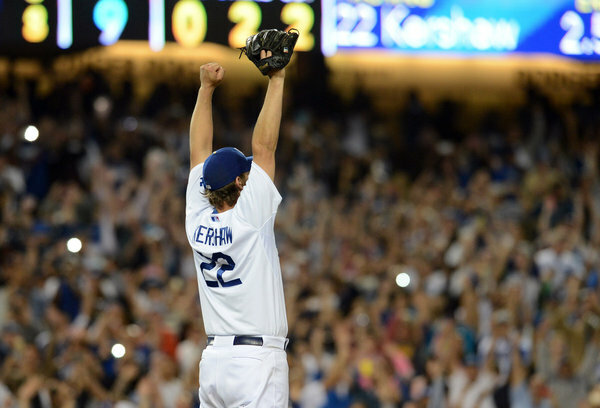 Despite spending the entire month of April on the shelf because of a nagging back issue, Kershaw has compiled an 11-2 record on the season to go along with a 1.78 ERA – .83 WHIP and 126 punch outs and is one of the early favourites to win the NL Cy Young Award. 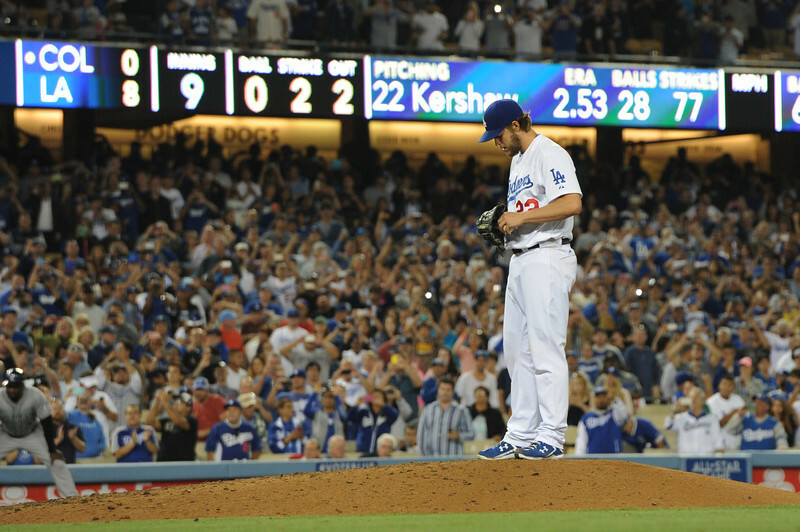 The highlight for both Kershaw and the Dodgers thus far was Kershaw’s No Hitter thrown against the Colorado Rockies on June 18th. Not only did Kershaw no hit the Rockies, he also added 15 strikeouts in the contest. In addition to the no-no, Kershaw has also had a 41 inning scoreless streak and a June that saw the southpaw go 6-0/.82 ERA/61 K’s in 44 innings. Not to be completely overshadowed by their California counterparts, the Giants have managed to not only go toe to toe with them in the standings but they have also managed to add a few memorable highlights of their own. Like the Dodgers, the Giants have their own two time Cy Young winner in their starting rotation. Unfortunately for them, their Cy Young award winner is a shell of himself. 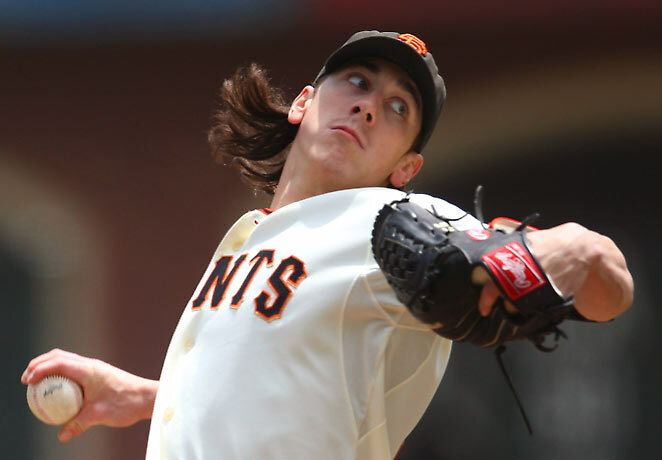 Tim Lincecum burst onto the scene in 2007 as a baby faced, rail thin, long haired pitcher with an unusual delivery. In his 2nd full season, Lincecum won the Cy Young as a 24 year old and added his second Cy the following year. Linceum was blessed with upper 90’s heat, a Bugs Bunny curveball and a devastating changeup that would see him strike out 977 batters over a four season span. And then, it was gone. By 2012 Lincecum’s fastball was sitting in the 90-91 MPH range and he went on to post back to back subpar seasons. 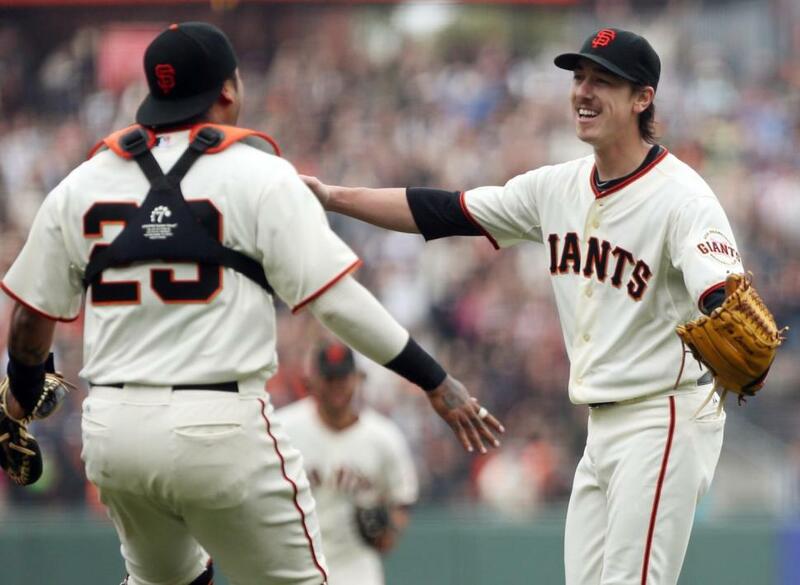 In fact, Lincecum’s struggles were so prevalent that he was moved to the bullpen during the Giants World Series run in 2012. Yet all of that was forgotten as Lincecum toed the rubber against the Padres on June 25th and went on to no hit the Padres for his second career no hitter and his second one against the Padres in a little over a year. Not only have the Giants pitchers been dominant on the mound but they have also been inflicting damage at the plate, well at least Madison Bumgarner has. For the first half of the season Bumgarner has 11 hits in 40 at bats and has driven in 12 RBI, eight of those RBI coming on TWO grand slams. 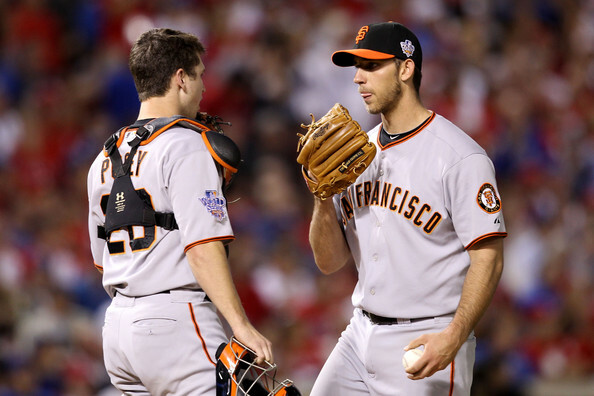 In fact, Bumgarner and battery mate Buster Posey became the first pitcher/catcher duo combo to hit go yard in the same game. It will be interesting how both teams address their respective rosters heading into both the second half and the trade deadline. It’s not that either team has a glaring hole to fill but you have to assume that both GM’s will be looking to add pieces knowing that the NL title will most likely come down between these two teams. The Dodgers and Giants still have 9 games to play against one another. With 13 days to go until the non waiver deadline you can bet that the internet and Twittersphere will be overloaded with rumoured deals and teams “checking” in on players which of course ALWAYS means a deal is imminent (not). The A’s got the ball rolling when they shipped highly touted SS prospect Addison Russell, along with other top prospect Billy McKinney and major league ready starter Dan Straily, to the Cubs for both Jeff Samardzjia and Jason Hammel. I’m still not sure what was more shocking, the A’s being the one who made the trade? or that they ended up getting both pitchers? The trade just goes to show that one cannot read too much into the ample amount of rumours that are abound during this time of the year. I say that because Samardzj was reported to be going to everyone from Toronto to the Yankees, clearly we were wrong. Some other minor deals have gone down with the Yankees sending a nobody (Vidal Nuno) to the Diamondbacks for Brandon McCarthy. The Rangers offloaded one of their veteran bullpen arms in Jason Frasor and the Angels acquired both Jason Grilli and Huston Street. So who is the next player to be moved? Who will be the big buyers? and who will be the sellers? 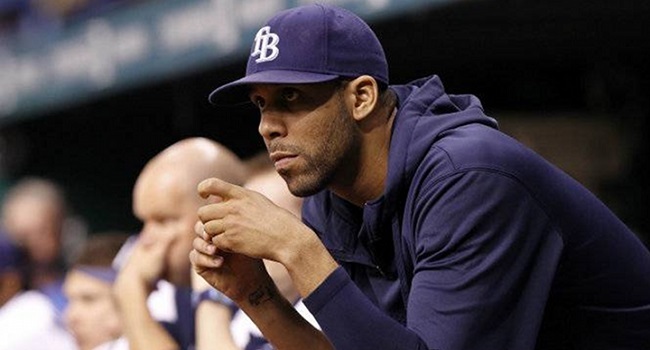 David Price is currently the biggest and best name that is rumoured to being shopped on the market. With the Rays currently sitting 9 GB of the AL East lead, many speculate that the Rays will be looking to move him instead of losing him to free agency after next season. The asking price is said to be fairly steep with the Rays wanting two top prospects and a major league ready player in exchange for the 27 year old Cy Young Award winner. The two teams that have both the pieces to land Price and the need to get him are the Los Angeles Dodgers and the Seattle Mariners. It shoudn’t be surprising to hear that the Dodgers are rumoured to be in on Price as they have the payroll and play in a market that could justify a move like that. The Mariners on the other hand are new to the big spending ways but given that they already went out and signed Robinson Cano in the offseason and are currently within striking distance of a playoff spot, why not go out and get the big fish? The Dodgers are apparently looking at giving up a package of prospects including OF Joc Pederson, SS Corey Seager and SP Julio Urias. Pederson would be the centrepiece of the deal as he is the closest of the three to the majors and would probably be able to step right in and help the Rays. Urias is a 17 year old flame throwing RHP who made a huge impression on scouts at the recent Futures Game. The Mariners package would center around RHP Taijuan Walker, 2B/SS Nick Franklin and 3B DJ Peterson. Walker would be the big piece going back in this hypothetical trade as he is a pitcher with major league experience and would be able to jump in and fill Price’s vacant spot in the rotation. Franklin is a major league ready SS who is more suited for 2B but came expendable with the signing of Cano and emergence of Brad Miller at SS. 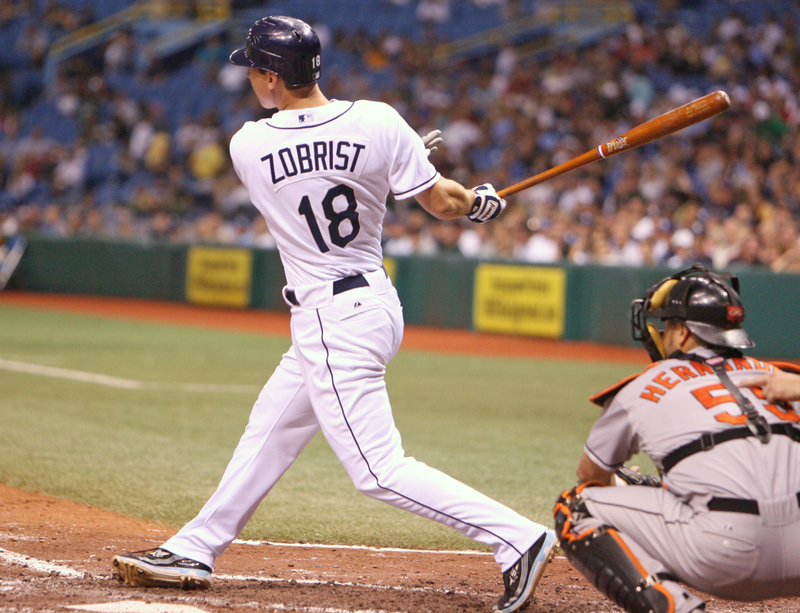 The Mariners have also been rumoured to be looking at acquiring uber utilityman Ben Zobrist as well from the Rays, so this package may be expanded to add more names in order to get that deal done. Besides Tampa Bay, everyone will be keeping an eye on other perennial contenders Boston, Philadelphia and Texas to see what they will be doing as the deadline approaches. All of those teams are well out of the playoff picture as we speak and could have some valuable pieces to move if they do decide to become sellers. Notable names that could be moved include: Jake Peavy (Bos) – Shane Victorino (Bos) – Mike Napoli (Bos) – Cliff Lee (Phi) – Cole Hamels (Phi) – Jonathan Papelbon (Phi) – Ryan Howard (Phi) – Chase Utley (Phi) – Marlon Byrd (Phi) – Joakim Soria (Tex) – Adrian Beltre (Tex) – Alex Rios (Tex). – Lind’s nagging foot injury turns out to be a fracture. Still on the DL. No timetable. 2-3 weeks is best case scenario. 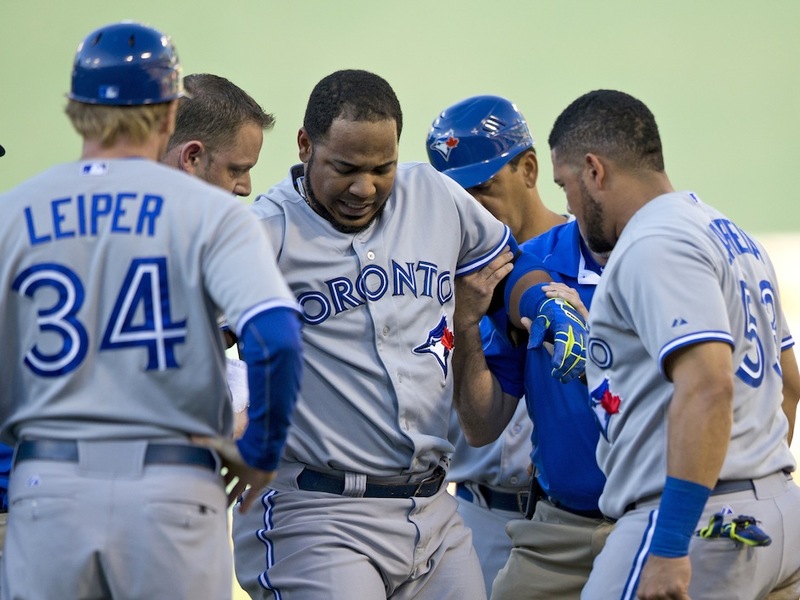 – Edwing strained his right quad during the series in Cincy. Still on the DL. Expected back late July. As for the lack of movement on the trade scene, I am not sure why AA is suddenly hesitant to make a move to bolster the roster. In 2013 – the year that saw AA make both the Dickey trade and the Marlins blockbuster – the Blue Jays were never really in the running for the AL East title. 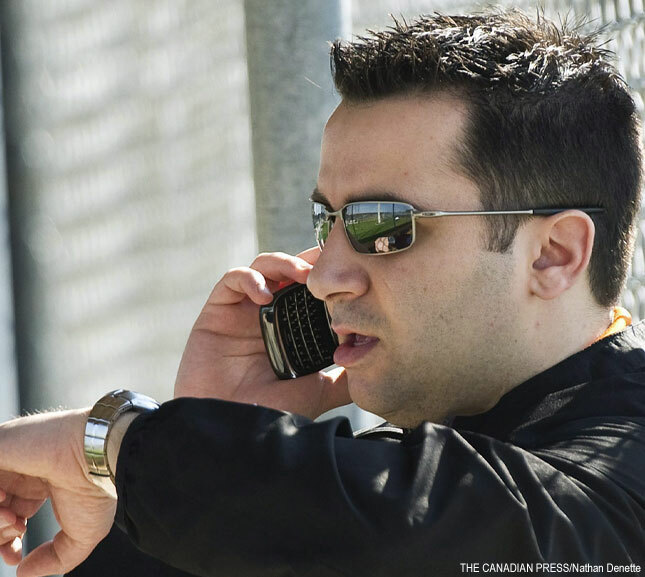 That was Year One of an apparent three year window that AA believed the Jays could contend. Yet here we are in Year Two of this window, the team that was the toast of the offseason last year is finally living up to those expectations and all of a sudden our GM get’s gun shy? I’m not saying that we have to make a move just to make a move but the Blue Jays have a LEGITIMATE shot at making the playoffs, maybe even winning the AL East. With the recent run of injuries it’s less likely that AA makes a “big” splash on the trade scene but he has hinted at making moves that help the team in the short run. What does that mean? Does it mean that we continue to get bargain basket pickups off of the waiver wire? Does it mean that the Jays look into available FA’s like the recently waived Alfonso Soriano? Or does it mean that they make a move to bring in a pending FA? Either way, 2014 is sure starting to smell an awful like 2013 as far as a Jays fan… But hey, at least we signed our draft picks!